View – click – pay: that is the convenience of online shopping. And it only takes a few minutes – a far cry from the hours a customer would need to travel to a bricks-and-mortar shop, find parking, shop, then return home. And that convenience is reflected in the statistics. 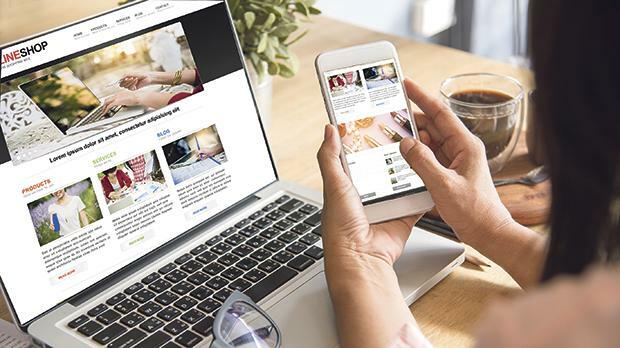 According to Eurostat, in Malta, more than six out of 10 internet users made online purchases in 2018, just under the EU average. And in the EU, the share of e-shoppers is growing, with gains in the 16 to 24 and 25 to 54 age brackets. A Eurostat 2018 report, based on 2017 data, shows that 69 per cent of e-buyers in the EU reported to have no problem when purchasing online. But some glitches still need to be ironed out. For instance, purchases from sellers outside the EU increased faster than those made from another EU member state. The former increased by 12 per cent from 2013 to reach 26 per cent of all EU online purchases in 2018, while those from another EU member state increased by 10 per cent to reach 36 per cent of all purchases. Also, a mystery shopping study carried out by the European Commission in 2016 showed that 63 per cent of EU websites did not let shoppers from another EU member state complete a purchase on the website. From the perspective of sellers, not all businesses in the EU have adopted e-commerce. Eurostat figures for 2017 show the percentage of turnover realised from e-sales ranged from less than five per cent in Greece to 35 per cent in Ireland, with the EU average being 15 per cent. Despite online shopping having become the go-to form of purchasing for most European consumers, these report issues encountered when purchasing online - Eurostat e-commerce statistics show how consumers complained about slower delivery than indicated at the time of making the purchase, wrong or damaged goods, difficulties in finding information on guarantees and legal rights, and fraud. Locally, the main players involved in regulating consumer rights are the Malta Competition and Consumer Affairs Authority (MCCAA) and the Malta Communications Authority (MCA). Further comments from the authority confirmed that, according to the Scoreboard, nearly 58 per cent of EU consumers feel confident about purchasing online goods and services from traders established in other EU member states. 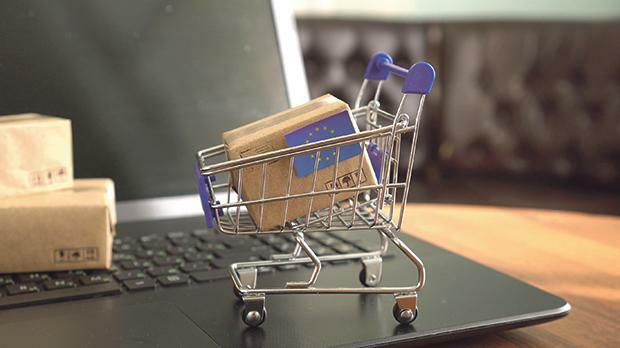 According to the National Statistics Office, in Malta, consumers are more likely to purchase online goods and services from traders established in other EU member states than locally. Indeed, one of the major benefits to consumers of the EU digital single market is that goods and services unavailable in their country of residence can be bought online from another EU member state. However, the MCCAA added that there have also been studies showing a number of obstacles faced by EU consumers when shopping online. Other issues seen in dissatisfied consumer feedback include price differences and as mentioned above, only 37 per cent of EU websites allow consumers from other member states to complete a purchase. This results in discriminatory behaviour towards a select number of EU buyers based on geographic factors. Locally, issues related to the delivery of items seemed to be the greatest concern. Apart from the inconvenience caused to consumers, it is also a matter of legal concern. The EU has taken action to break down online barriers that prevent consumers from enjoying full access to goods and services. One of the European Commission’s top political priorities is the Digital Single Market Strategy, out of which a number of initiatives were adopted and which seek to address unjustified cross-border barriers, facilitate cheaper cross-border parcel deliveries, protect online consumer rights, and promote cross-border access to online content. One such initiative is the EU regulation banning unjustified geo-blocking – a discriminatory practice preventing online customers from accessing and purchasing products or services from a website based in another member state. The ban on geo-blocking obliges retailers to give people access to goods and services on the same terms all over the EU, regardless of where they are connecting from. “The geo-blocking Regulations, which came into force on December 3, 2018, address cross-border barriers and other forms of discrimination,” Vella clarified. These new rules act against online discrimination on the basis of nationality or place of residence, allowing fair treatment to all consumers in the EU, irrespective of location and residence. “When benefitting from uninhibited access to goods and services, European consumers can freely engage in online activities enjoying a high level of consumer protection, irrespective of nationality or place of residence,” Isabel Fereday, MCA communications coordinator, said. Another EU initiative is the EU’s first ever rules to protect consumers faced with faulty digital content or services. Agreed upon last January, these ensure that people who buy or download music, apps, games or use cloud services will be better protected if a trader fails to supply the content or service or provides a defective one. Price transparency and competition are also factors that alleviate consumers of worries related to online purchasing – allowing for an easier comparative market. Furthermore, the EU regulation on Consumer Protection Cooperation, which enters into force in January 2020, provides a platform where illegalities can be reported by consumers and addressed by the competent authority. Digital content, such as music, videos and apps, purchased online will also be covered by new EU rules agreed by the European Parliament and Council. The Digital Content directive will protect consumers in the case of a trader who fails to provide the content or service, or even provides a defective one. Consumers who provide data in exchange for such content or service are considered ’paying’ consumers. The directive on the sale of goods will harmonise certain contractual rights, such as the remedies available to consumers if a product, whether it was purchased online or in store, does not perform well or is defective, as well as the ways to use those remedies. These rules provide a high level of protection and legal certainty to EU consumers while also making it easier for businesses to sell across the EU. Effective consumer protection rules for online purchases will further boost consumer confidence in online shopping among consumers. New rules to better protect consumers, whether they buy a product over the internet, in a local store or download music or games were approved by the European Parliament last Tuesday. Under the first EU-wide digital content rules, people who buy or download music, apps, games or use cloud services or social media platforms will be better protected if a trader fails to supply the content or service or provides a defective one. These consumer protection rights will apply in an equal manner to consumers who provide data in exchange for such content or a service and to paying consumers alike. The text lays down that, if not possible to fix defective digital content or a service in a reasonable amount of time, the consumer is entitled to a price reduction or full reimbursement within 14 days. If a defect appears within one year of the date of supply, it is presumed that it existed already, without the consumer needing to prove it (reversal of the burden of proof). For continuous supplies, the burden of proof remains with the trader throughout the contract. Goods with digital elements (such as ‘smart’ fridges, smartphones and TVs or connected watches) are also covered by this directive. Consumers buying these products will be entitled to receive the necessary updates during “a period of time the consumer may reasonably expect”, based on the type and purpose of the goods and digital elements. Last January, the European Parliament and Council had provisionally agreed that consumers buying online or in a brick and mortar store will be entitled to equal remedies if they purchase faulty products. Following last Tuesday’s Parliament approval, the two directives will now be submitted for formal approval to EU Ministers. They will enter into force 20 days after their publication in the EU Official Journal and will need to be implemented by member states two and a half years after that, at the latest. ▪ For up to one or two years following delivery, buyers will not need to prove that the good was faulty (the burden of proof is reversed in favour of the consumer). ▪ For up to one year following delivery, buyers will not need to prove that the good was faulty; for continuous supplies, the burden of proof remains with the trader throughout the contract. ▪ The guarantee period for one-off supplies cannot be shorter than two years; for continuous supplies it should apply throughout the duration of the contract. ▪ For subscriptions for a period of time, the trader may only modify the content if allowed by the contract, the consumer is notified reasonably in advance and is allowed to terminate the contract within at least 30 days of notice.